So if anyone was watching my Instastories last night, you'll know that I stayed up wayyyy too late drinking prosecco and binge-watching The Sinner whilst my husband was out. 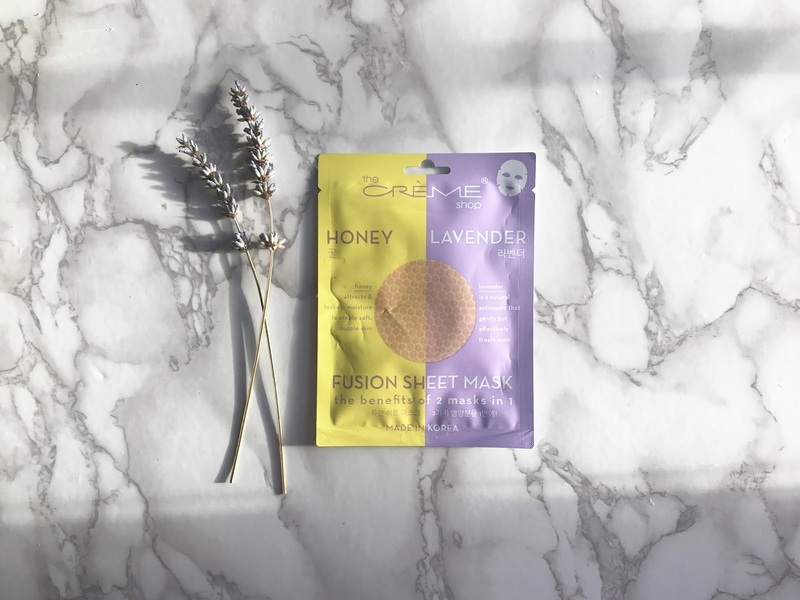 As a result, my skin is a weird mixture of dry and spotty today, so I'm breaking out my favourite new sheet mask: The Creme Shop Honey & Lavender Fusion Sheet Mask. 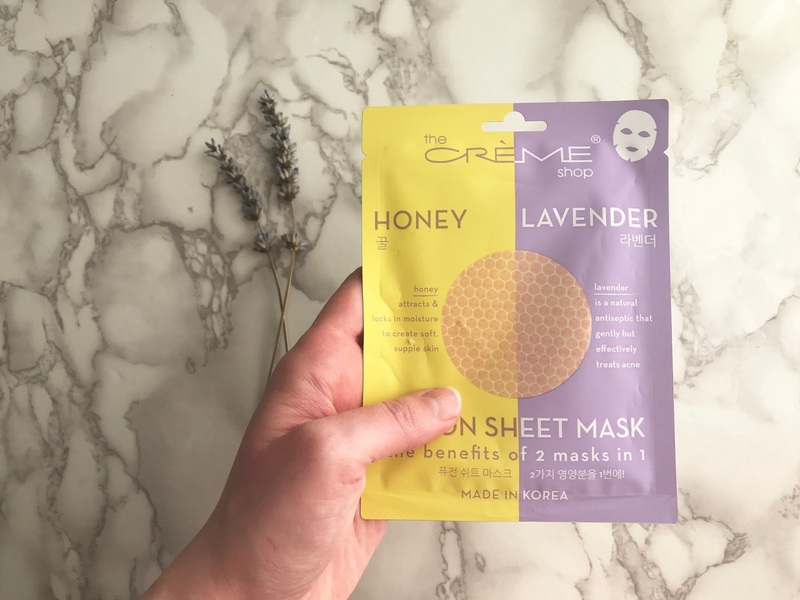 It's made of a mixture of honey & lavender (obviously), with the honey acting as an antibacterial agent and the lavender acting as a soothing/hydrating agent. I love this combination because it works to hydrate and soothe my skin without aggravating any acne that's flaring up. My skin feels so soothed, soft, and hydrated after this. Plus, unlike a lot of sheet masks, it isn't too big for my face and it fits very snugly and comfortably. You don't need to worry about it sliding all around. This mask is a total steal. I bought it at CVS (an American drugstore) when I was home for Christmas. So to my American readers, I say--get thee to a CVS, stat! It's only $3.00, and I picked it up on a 3-for-2 deal. Have you guys tried any of The Creme Shop masks? What are your favourite stressed-skin saviours?